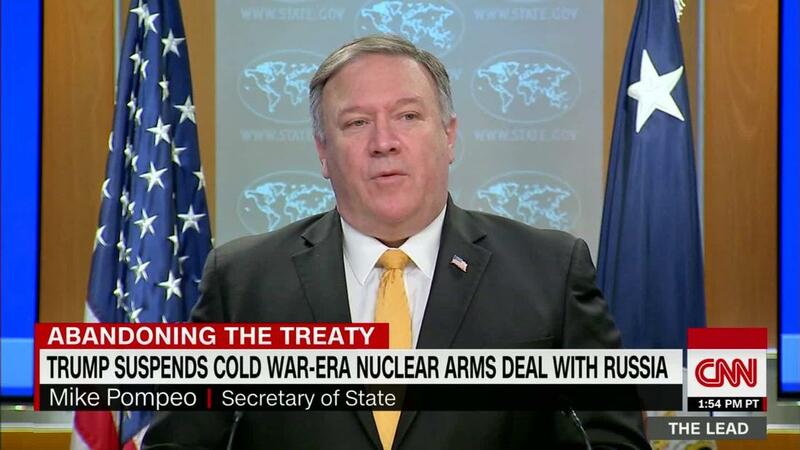 (CNN) Secretary of State Mike Pompeo announced Friday the United States will suspend participation in the Intermediate-Range Nuclear Forces (INF) Treaty — an agreement the US signed with Russia in 1987 that helped slow the arms race. In his announcement, Pompeo said Russia had violated the treaty for years “without remorse,” adding, “It is our duty to respond appropriately.” But instead of working with our allies to craft a comprehensive plan to hold Russia accountable and pressure it back into compliance, the Trump administration has offered Russia an easy way out. Russia is now violating the INF treaty by developing and deploying new missiles that could deliver nuclear warheads to European targets, including US military bases. This dangerous situation demands a robust and effective response. Instead, the Trump administration has played right into Vladimir Putin’s hands. In addition to giving Russia free rein to build and deploy an unlimited number of intermediate-range missiles that could potentially be fitted with nuclear weapons, withdrawing from the treaty would allow Putin to deflect responsibility and blame the US for both the treaty’s collapse and any ensuing arms race. While NATO issued a statement declaring its support for the US’ decision, it papers over divisions within the alliance, which will only be exacerbated over time. 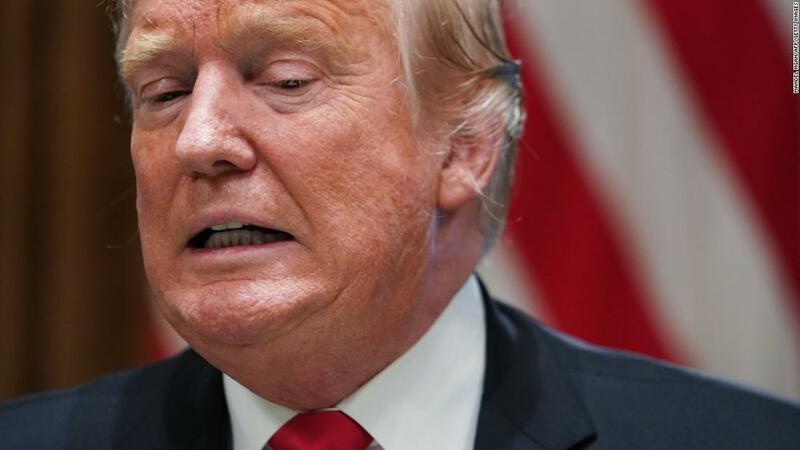 According to a report obtained by Breaking Defense, the US has since 2013 considered the INF-range missiles it might develop should the treaty collapse. These missiles would require deployment in Europe — which some NATO allies will certainly oppose. Splits within NATO would only further Putin’s long-standing geopolitical goals, and there is no reason to give him this satisfaction or strategic advantage. Just weeks after Pompeo announced in December that the US intended to pull out of the INF treaty, then-Secretary of Defense James Mattis issued a strong rebuke of Trump’s approach to foreign policy, emphasizing the importance of supporting our allies in his unprecedented resignation letter. By pulling out of the INF treaty, Trump missed an opportunity to make the best use of the world’s most powerful alliance and send Putin a strong message — one with real consequences. As a result, the Trump administration has frittered away its credibility among our European allies who now face the prospect of having new Russian nuclear-armed missiles aimed at them. 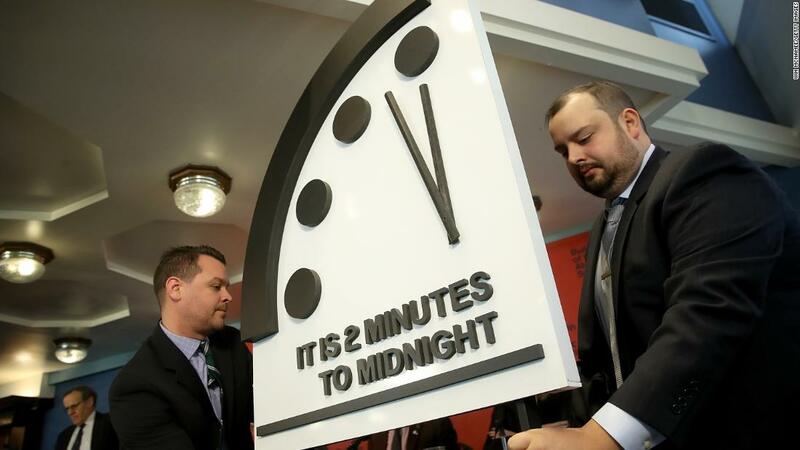 This is the latest step in the Trump administration’s pattern of abandoning the diplomatic tools that have prevented nuclear war for 70 years. It also follows the administration’s unilateral decision to withdraw from the Paris climate agreement. The United States should not tolerate Russia’s continued treaty violations and aggression, but sidelining diplomacy — as well as our allies — as President Trump has done, will only drive us headlong into a dangerous and expensive arms race. Congress must not allow the Trump administration to plunge the United States into a 21st-century nuclear arms race. This dangerous policy would undermine our national security, divide us from our allies, play directly into Putin’s hands, and place peace in Europe at risk. Instead, we must support effective diplomacy, invest in our national security and propose smart policies to keep our country, along with our European allies, secure, free and prosperous.